Let me just say that if you only make one mac and cheese in your lifetime this should be the one. My gosh! I just had to make it after reading all the comments after this was written. What about Food 52? They shouted from the rooftop about it, too. So I’m right up there with the rest of them and I have to say that it is the best macaroni and cheese that I have had. Martha knows her mac and cheese that’s for sure. 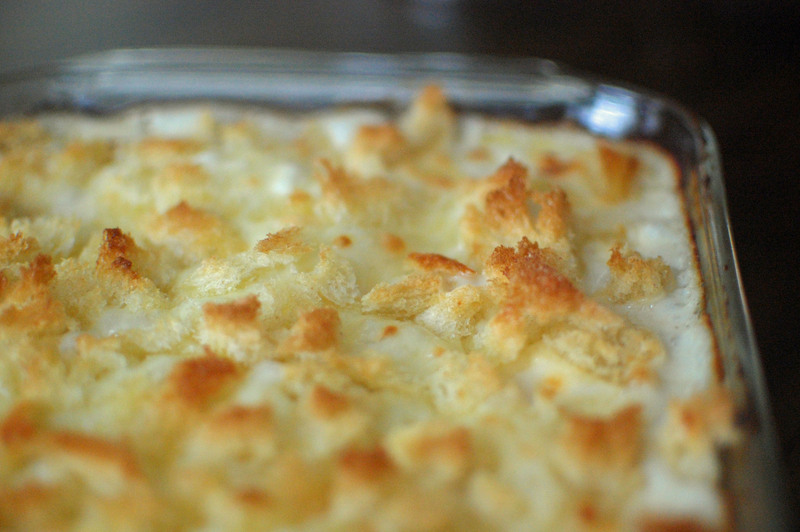 It has just the right amount of bechamel sauce to go with the pasta and I love the White Cheddar and Gruyère Cheese. I will have to admit skepticism about the nutmeg, but it went in the sauce . Perfection! 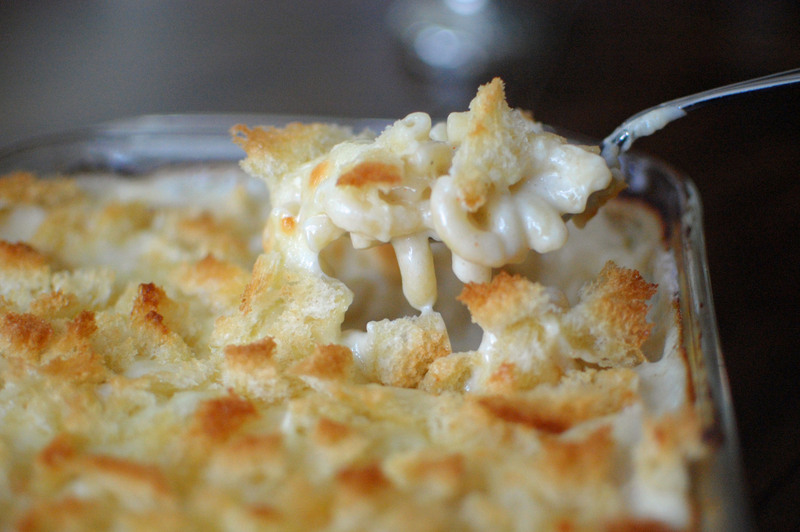 So it’s your turn to let Martha’s Perfect Macaroni and Cheese be the hit at your house. It was at mine. 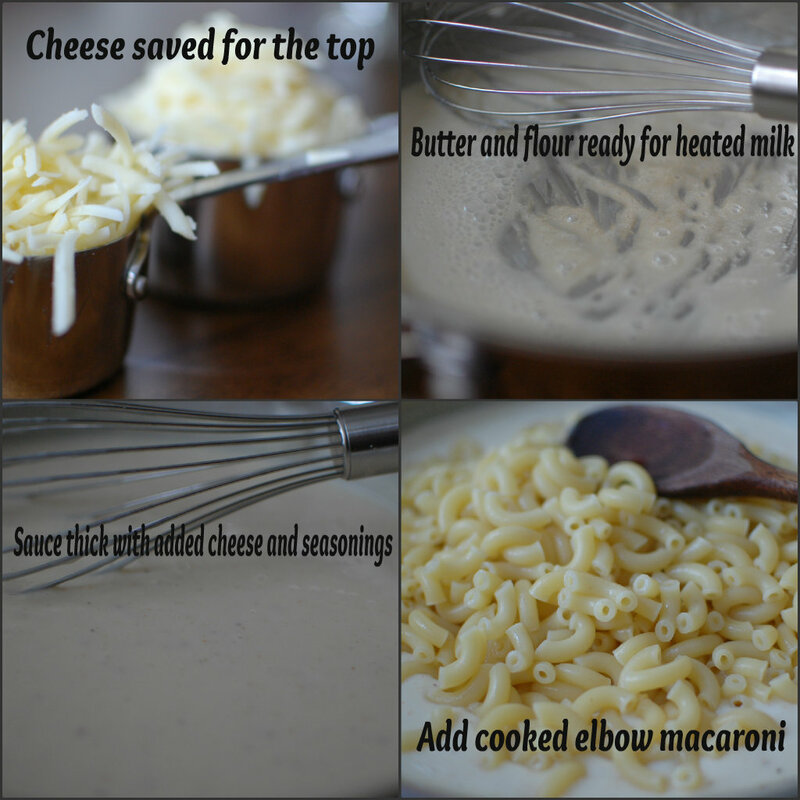 Last week in class we made macaroni and cheese using this recipe which I have used for years. It is quick and easy. High school students can handle it pretty well, but even so the sauce can be a bit tricky to the novice cook. It makes for an easy clean up, too. Martha’s recipe is a bit more detailed and I might add that I had a few more dishes and utensils to clean, but well worth the extra time and the cheeses are a little pricey. Her original recipe makes enough for a small army. I halved the recipe with no problem. So here it is Perfect Macaroni and Cheese which is said to be the most popular recipe from Martha. When you put this in your mouth you’ll know why – Perfection! Butter 1 1/2 quart dish. Place bread in a medium bowl. 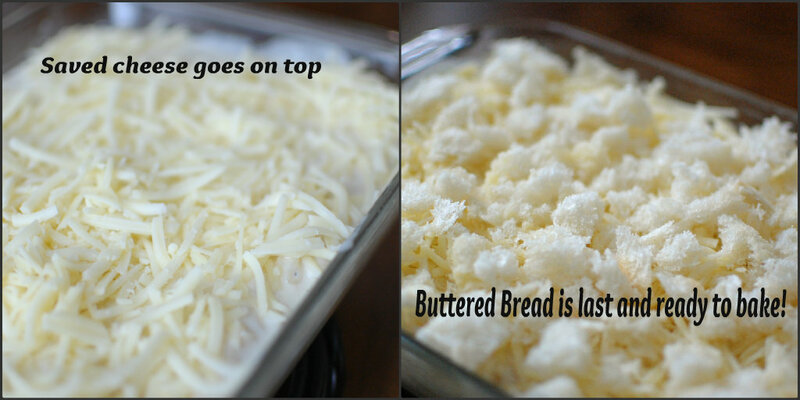 Melt 1 tablespoon butter and pour over bread. Toss and set aside. In a medium saucepan heat milk over medium heat. Melt remaining 3 tablespoons butter in a high-sided skillet over medium heat. When butter bubbles, add flour. Cook, stirring, 1 minute. Slowly pour hot milk into flour mixture while whisking. Continue to cook until the mixture bubbles and becomes thick. Remove from the heat. Stir in salt, nutmeg, black pepper, cayenne pepper, cayenne pepper, 1 1/4 cups cheddar and 1/2 cup Gruyère cheese. Set aside. Cook pasta according to directions, until outside of pasta is cooked and the inside is underdone. I cooked mine about 8 minutes. It will vary by the brand used. Pour macaroni in a colander and rinse under cold water. Stir macaroni into the sauce. Pour the mixture into a buttered dish. Sprinkle with remaining cheese. Bake until browned on top, about 30 minutes. I learned that you know you’re mac and cheese id one when your top starts to get golden brown. It had a good texture and was really easy to make. I like my mac and cheese with lots of cheese! The more cheese the better! I learned that it is a really good recipe and that it has some interesting spices in it. I learned that this recipe is easy to make for an easy lunch or dinner. 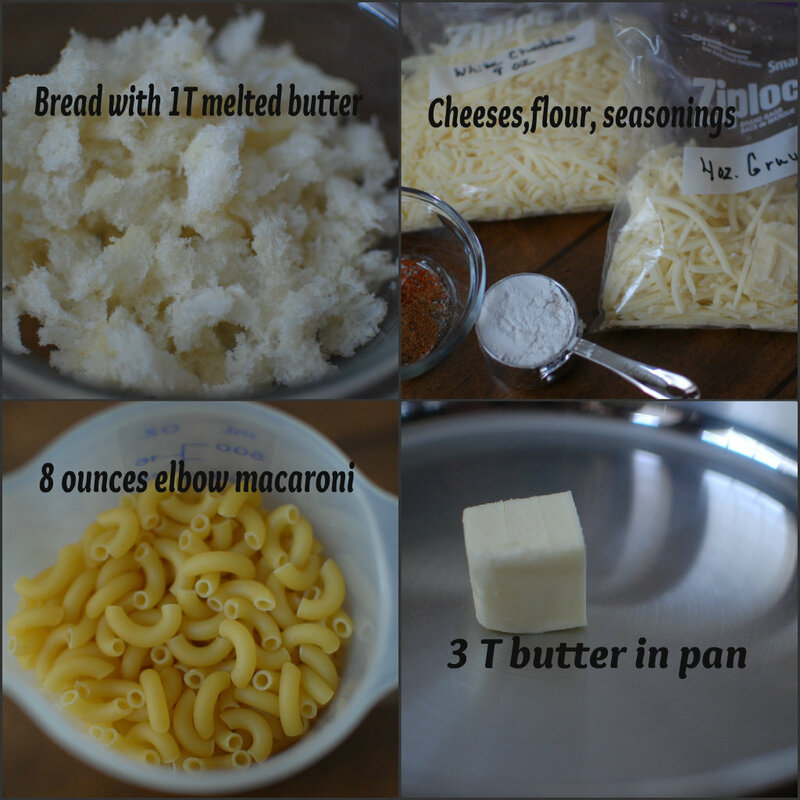 This is so healthy and such a clever way to make Macaroni! I learned that this recipe calls for many ingredients and may take a while to put together, but once it’s in the oven it only cooks for 8 minutes and is well worth it! It was a great recipe! I learned that if you dont watch out for the sauce when in the microwave, it can overcook and mess up the recipe in a way. i learned that mac-n-cheese is actually really easy to make. i learned that you need to allow the top to brown so that you know it is done. I learned to cook the pasta until the outside is cooked and the inside is underdone. I didn’t know you can put bread crumbs on top of the mac and cheese to make it crispier. i learned plastic was made out of almost the same ingredients as cheese. When we did this lab, it was very simple and easy to make. It only took about eight minutes! I learned you can make a Roux instead of using milk. I learned that if it takes you 2 days to make macaroni and cheese you put hot water over the macaroni. I learned that the macaroni doesnt need to be cooked all the way. I learned that you can create a crust with bread crumbs. I learned that if you don’t watch the sauce when it cooks, it can overcook and mess up the recipe. I also learned that you can use bread in macaroni and cheese. I learned that it is an easy thing to make and it is good. I didnt know you could put bread in mac n’ cheese. I learned that you can make a roux instead of using milk. I learned that you put the cheese in sauce when it thickens. I learned that processed cheese is made out of plastic and you can make your own for macaroni and cheese. I learned that if you make noodles the day before run hot water over the noodles and they’re ready to be cooked! I never knew Mac and Cheese could be this easy to make without the microwave. The Mac and Cheese was really cheesy and very good!